Manitoba Marathon would not be successful without our 2000 wonderful volunteers! Join us on father’s day to be a part of a fun and uplifting team who help support over 10,000 participants! Want to become involved with the Manitoba Marathon, but don’t feel like strapping on a pair of runners? No sweat! Grab your family and friends the Manitoba Marathon has various volunteer positions available for race weekend! The Manitoba Marathon is fortunate to have so many amazing returning volunteers every year and are happy to welcome new members to the family! Have a peek at our exciting volunteer opportunities below! Click here to view the general Volunteer Guide. 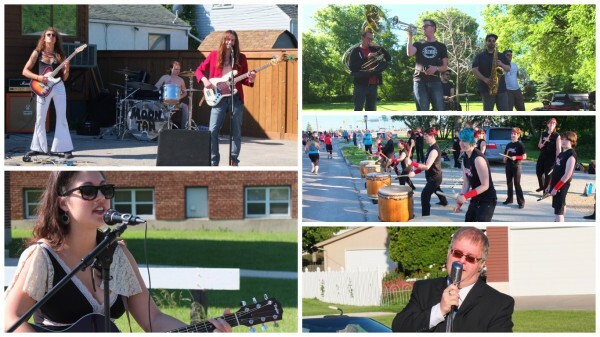 “Calling all Entertainers!” We’re looking for more entertainment to participate in Manitoba’s largest mass participation event! 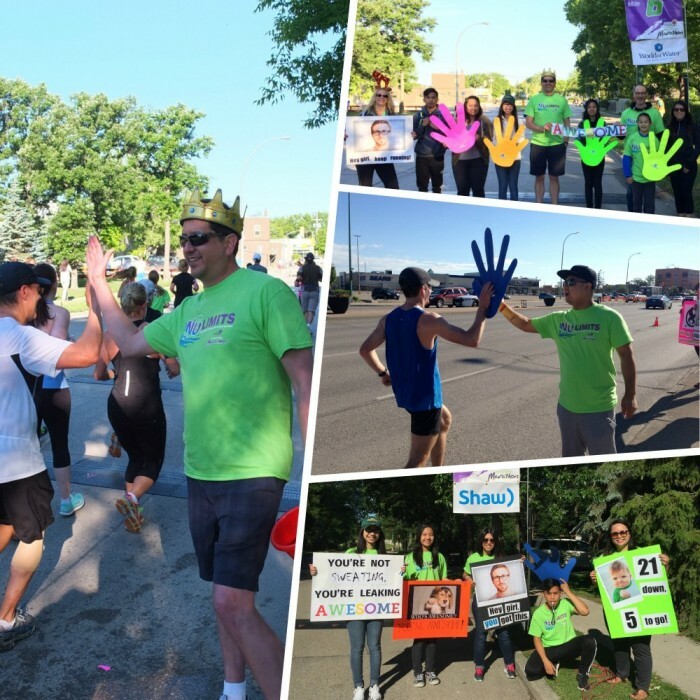 Join our fabulous groups already “strutting their stuff!” We need your help in cheering on the Manitoba Marathon participants. 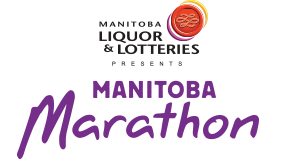 More entertainment means more family, more fun, and a thrilling Manitoba Marathon experience for participants and spectators alike! Come out, entertain us, join our party! For more information on becoming a part of our annual celebration of fitness, family, and fundraising please call our office at 204-415-4517.